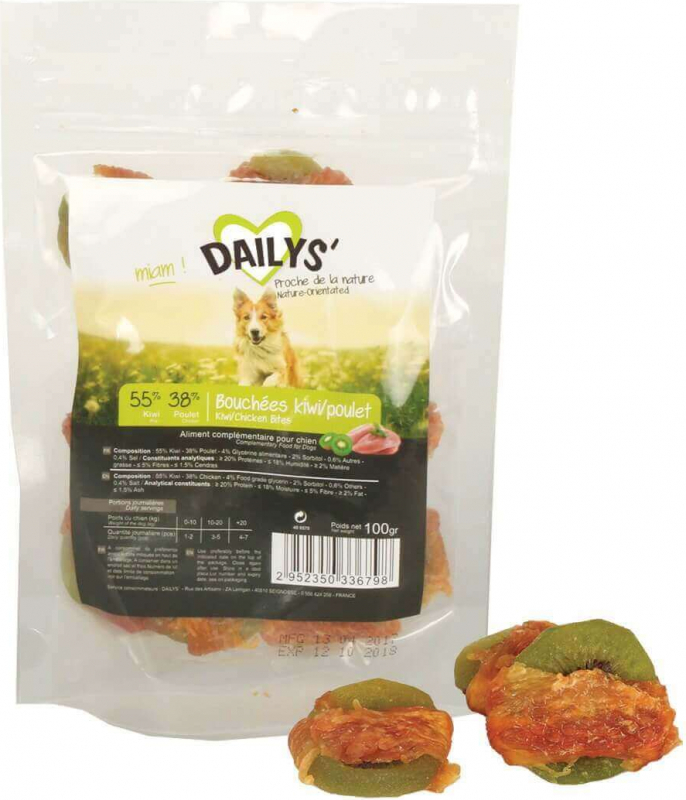 Offer your dog the delicious Kiwi Chicken Treats DAILYS for dogs! 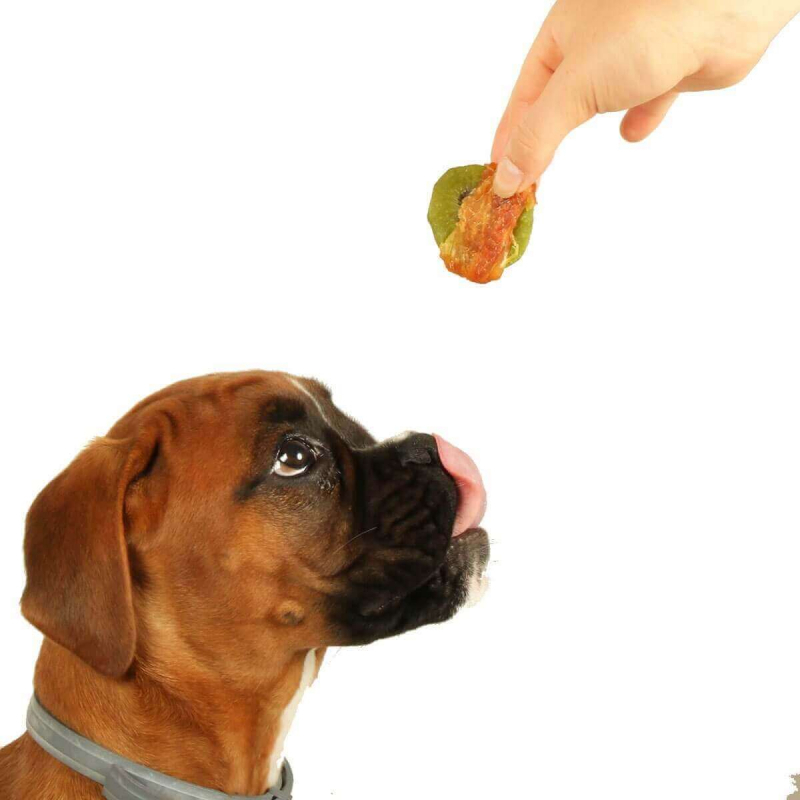 Composed of a dried kiwi surrounded by dried chicken fillet, is this the ideal dog treat. 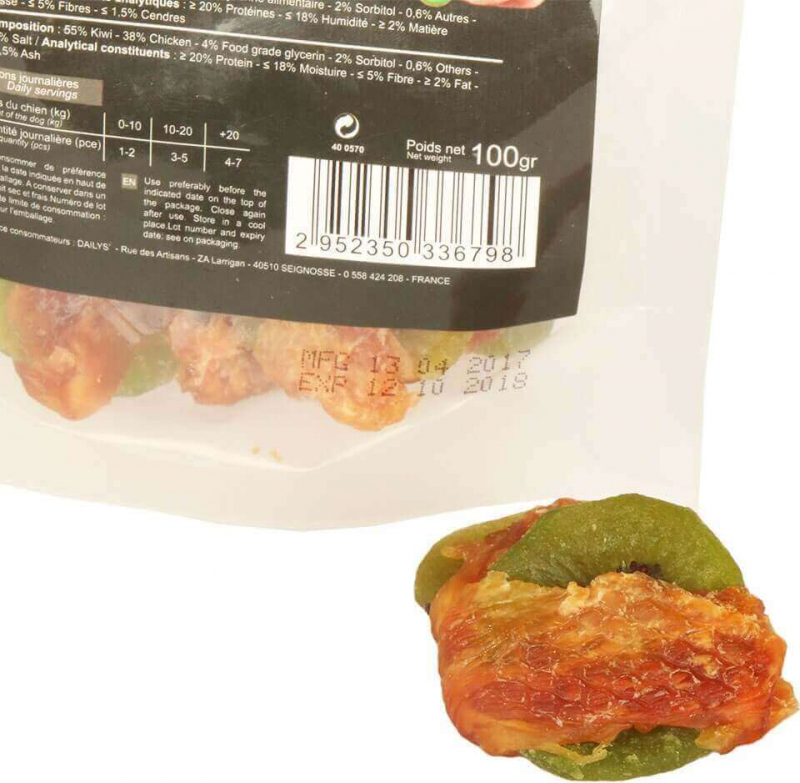 Protein 20%, Moisture 18%, Fat 5%, Fiber 1.5%. 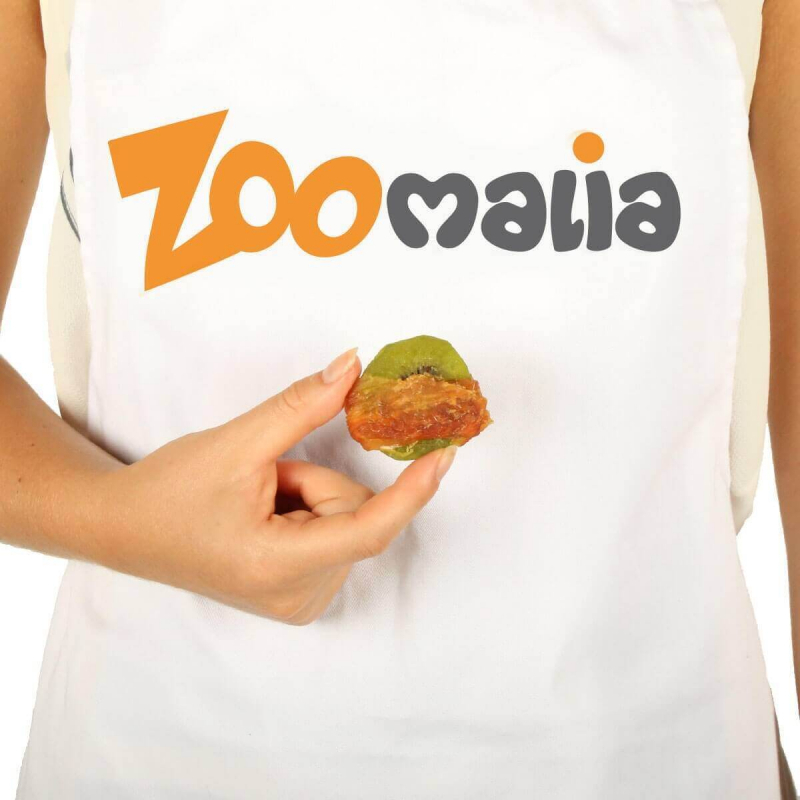 Kiwi 55%, Chicken 38%, Food glycerin 4%, Sorbitol 2%, Other 0.6%, Salt 0.4%.